Lounge - gelegen aan de voorzijde van het pand met uitzicht op de marktplaats, de woonkamer en keuken zijn open, maar kunnen worden gesloten met bi-vouwdeuren. Er is geen directe toegang vanuit de accommodatie naar de achterzijde van het pand. Toegang via de achterste weg naar de garage en de tuin. We have been coming to this apartment over the last ten years are so, which must indicate our feelings about Bondgate apartment. It always feels welcoming, clean, warm and cosy. There is everything here that one wants (though be aware there is no washing machine). Everyone associated with running and maintaining the apartment is very helpful and friendly. Thank you for your review on Bondgate Flat, we have so appreciated you returning over the last 10+ years, the flat was left very clean and tidy and we hope to see you again in the future, you know you are always welcome. So pleased you enjoyed your Christmas in the flat. Thank you for leaving everything clean and tidy and we hope to see you again sometime, you will be more than welcome. The flat was clean and well equipped. Whilst it was only a stone's throw from the shops and pubs it was remarkably quiet, so we had a very restful stay. It was ideally situated for visiting North Yorkshire - we visited York, Harrogate, Scarborough, Whitby and the moors as well as Castle Howard and all were within a one hour drive. We would certainly use Bondgate Flat again and will recommend it to family and friends. Thank you for your positive comments and the comments in the visitor book and also a big thank you for leaving everything clean and tidy. We are really pleased you enjoyed your stay and also your first visit to North Yorkshire. 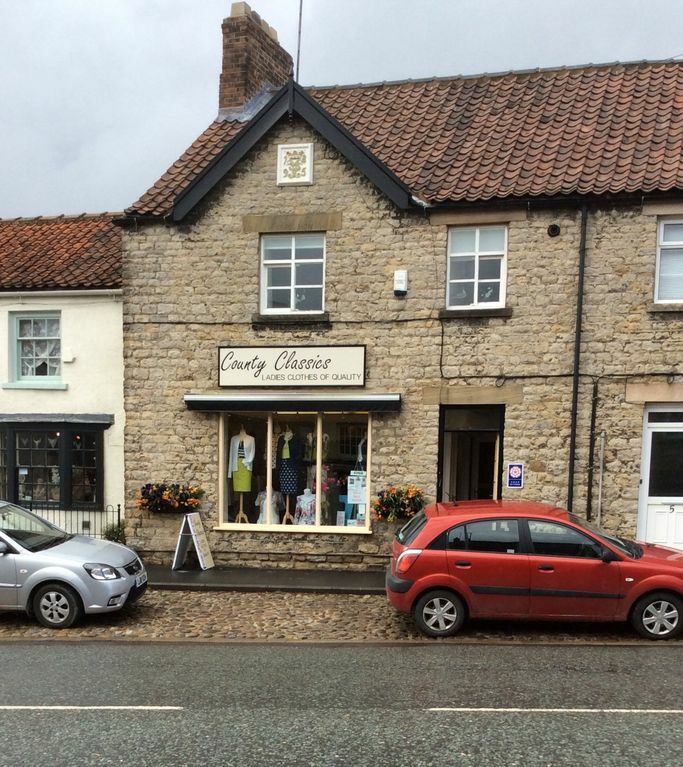 This was our second visit to Helmsley and we were very happy to see that the flat was available for our dates. As before, the apartment was comfortable, clean and really nicely furnished with all the facilities needed to make our long weekend a treat. We would certainly be happy to return if ever we are in the area. We are really pleased you enjoyed your stay with us for the second time and found everything OK with the flat. Thank you for leaving everything clean and tidy. We would certainly be happy for you to stay with us again should you come and visit Helmsley and the Ryedale area again. Very comfortable flat in the middle of Helmsley. Very comfortable flat, idealy located. Bedroom to the back, very quiet with a very comfortable bed.Shower over bath with good pressure and oodles of hot water. There is a garage to the back of the property but I used off street parking that was free and easily obtained. The owners run the shop downstairs and were very accesssible and gave great help telling us of sights to see locally. Overall an excellent experience. Thankyou Chris for your positive comments and a huge thanks for leaving everything clean and tidy, a further thanks for what you left on the kitchen table. Paula and I are so pleased you enjoyed your stay in Helmsley and should you wish to visit again we would be more than pleased to have you. Paula and I are really pleased you enjoyed your stay in Bondgate Flat, Helmsley, if you decide to take another holiday in Ryedale, North Yorkshire, we would be delighted to welcome you again. There is no direct access from the accomodation to the rear of the property. Access to the garage and garden area is gained via the back lane.